When you STOP doing THESE THINGS, you’ll be able to let go…and release yourself to receive your POWER. The first word that’s synonymous with “potential” is HIDDEN. STOP hiding behind what could be or should be, and show up in what is and WILL BE. STOP trying to be something you currently are not, and fully BECOME who you are and desire to be. STOP believing more in others than you believe in yourself. STOP loving the potential you see in others. See it in YOU, believe it, become it…and “impossible” becomes possible. STOP trusting others before you trust yourself. 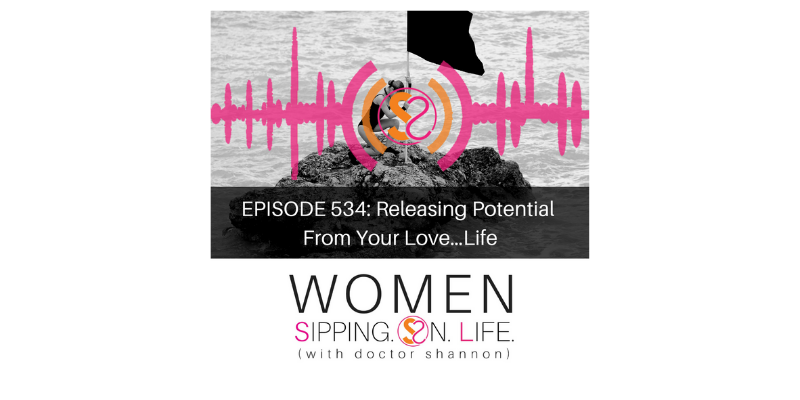 Release potential from your love…life and release POSSIBILITY IN YOUR LOVE…LIFE. Write a break-up letter to “Potential” and release POWER in your life. Give it permission to go. Then, write a Love Letter to Your Power.